Cooking meals for your family should be a joyous occasion but no-one likes to deal with the hard to clean mess it can leave behind. And lets face it, stainless steel never looks stainless and white stones don't stay white! 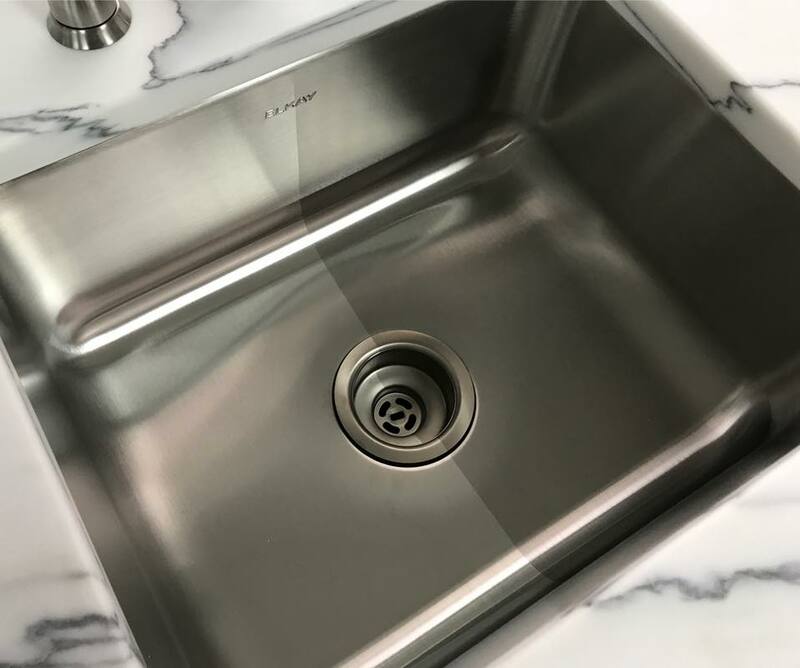 A sanitary & easy to clean surface Our coating fills the pores of each unique surface in your kitchen permanently! With the pores filled, food and other contaminants cant adhere to the surface. This results in a completely sanitary surface thats easier then ever to clean. All you'll need is water and a mild detergent to get off even the toughest of stains. The fingerprints you hate on your fridge and the nasty water marks in your sink will be no longer and your kitchen will always look perfect. The end result is less time spent cleaning and more time spent with family. Protection that lasts Marble, Granite, Corian, sinks, appliances- these are all surfaces that are susceptible to scratching and staining. The sealants you'll find offer some level of protection but most can't protect your countertops as well as they need to be. Many of them even require a yearly application! Who has time for that? Our coating creates a permanent surface thats 5x harder then any sealant. With a strong barrier between you and the surface -it can't be scratched as easily. Ceramic Pro's hydrophobic property also causes liquids like wine and soda to just bead up on the surface. Therefore, it can't be stained easily either! If you love light colored counters but live in fear they're going to stain- Let us help! What Can be coated? Everything! 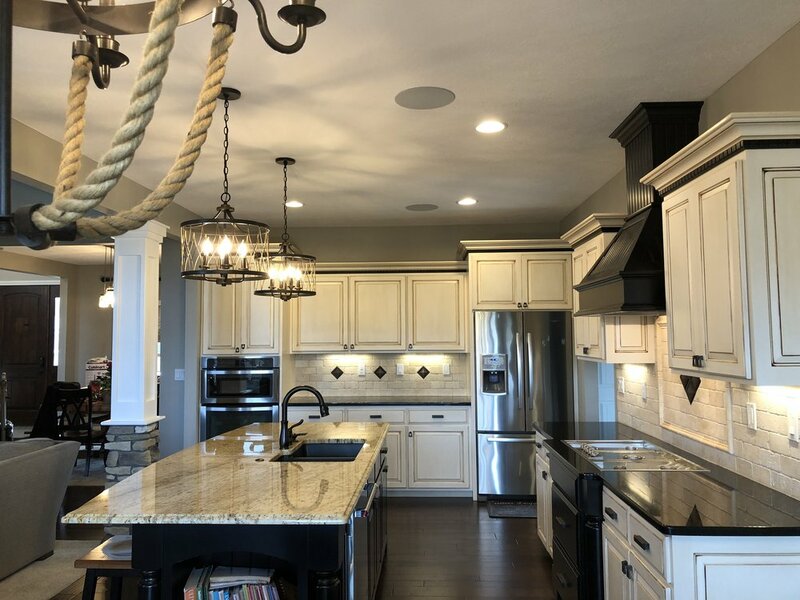 Appliances, countertops, Cabinetry, knobs, microwaves (inside and out), glass, sinks, faucets, cooktops and grates, hoods, islands, highchairs, and much much more! The most common surfaces our customers request to have coated are stainless steel, natural stones (like marble and granite) and glass. Pricing is calculated by measuring the square footage of the surface and determining the level of protection most appropriate for that area. Our standard kitchen package includes coating all of the appliances (microwave, oven, cooktop, hood, refrigerator, dishwasher, sink, faucet) as well as polishing and coating all countertops and islands when applicable. 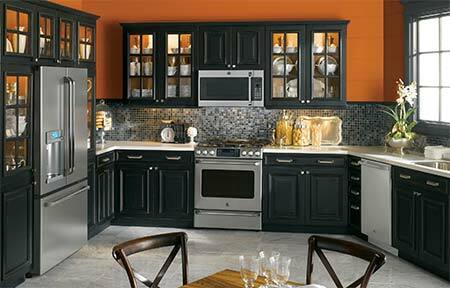 Options such as knobs, cabinet faces, light fixtures and more can also be added. The best way to get a precise estimate is to schedule a free in-home consultation. Ceramic Pro will deepen the colors or your stone, makes it glossier and create a very liquid repellent surface. Once applied, it protects the surface from all sorts of stains & scratches while still allowing the stone to breathe. Theres no need for waxes or sealants once the product is applied. You won't even need 409! 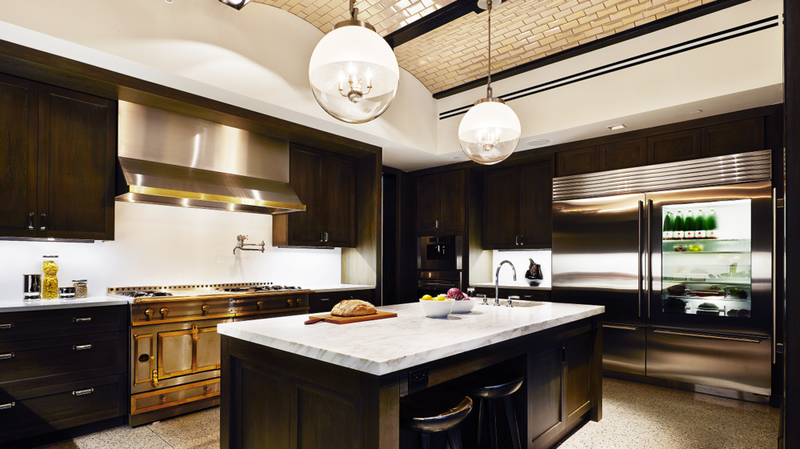 Have more of a matte finish to your countertops? No worries- we can provide the same protection without the gloss if thats what you'd prefer! Fingerprints, water marks and soap buildup ruin the look of your home and are a hassle to remove. Your faucets, handles and appliances will always sparkle the way they were meant to after being coated by Ceramic Pro. No more scrubbing or using harsh chemicals to get those stuck on spots off. Its literally as easy as soap, water and a towel. Solid Surfaces such as Corian are meant to last the test of time- and they do! However, over time they a VERY susceptible to scratches and stains. Although its a more in depth process, we can help restore your Corian to its original scratch free beauty and protect it from future wear and tear! Ceramic Pro Strong can be applied to most wood surfaces, including kitchen cabinets. It can be used instead of oils, stains and sealants. The coating prevents UV rays and water from damaging the surface. Learn how Ceramic Pro coatings can protect your stone countertops in the video below!